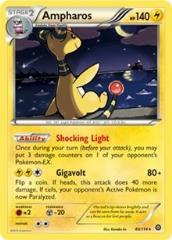 Once during your turn (before your attack), you may put 3 damage counters on 1 of your opponent's Pokemon EX. Flip a coin. If heads, this attack does 40 more damage. If tails, your opponent's Active Pokemon is now Paralyzed.